You'll need to know how to prepare and manage your claims. You'll need to prove how the PPI was mis-sold. You'll be responsible for all communications with your lenders. We will quickly establish whether you had PPI and on which agreements. We will help you at every step of the way. We only charge our fee once you have received your compensation, subject to terms and conditions. We Fight Any Claim is working to get back what could be owed to you. We've already obtained over £400 million in offers for mis-sold PPI, but billions remain unclaimed. Whether you think you had a PPI policy between the 1980s and 2010, or you're not quite sure, we're here to help. We can do the work for you and find out if you were affected by PPI totally free of charge. If it turns out that you were affected and you want us to continue with your claim, then you'll be pleased to know that we won't charge a penny unless your claim is successful***, subject to terms and conditions. Our dedicated agents will manage the process on your behalf. Check the status of your claim with our handy online tool. We'll never charge you upfront fees. There’s good service. Then there’s Trusted Service. 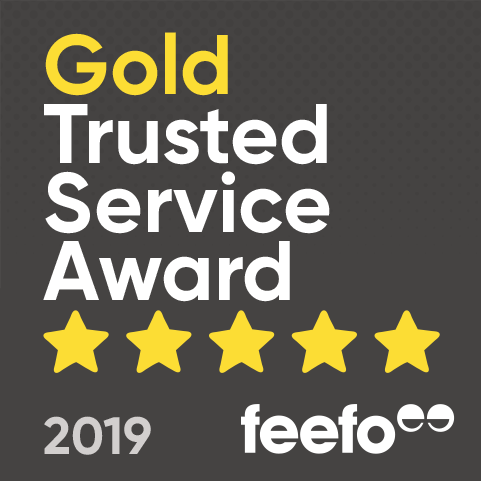 We’re delighted to have been awarded Feefo’s most prestigious accolade, The Gold Trusted Service Award 2019. The Trusted Service award is a recognised symbol of quality – and only the businesses providing the best experience for their customers, as rated by them, make the grade. "Excellent service, everyone I spoke to was very polite and answered any queries that I had. Would recommend to anyone."